Another day, another tweak. CallBar X realizes the coveted “call bar” concept for iPhone. 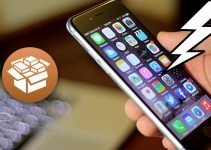 Here’s how you can download and use this tweak on your iPhone. The stock call view of iPhone that takes up the entire screen, even when you are in the middle of something important. Ideally, iOS should display a minimalistic call screen but it doesn’t. That is where this new tweak comes in. CallBar X brings an unobtrusive call bar for incoming and outgoing calls on your iPhone. It is developed by renowned developer Elias Limneos. For the uninitiated, this tweak is based on the “minimal call bar” concept shown below. Even though it’s a bit different from the original concept, it manages to include more features and even comes with stunning OLED designs. 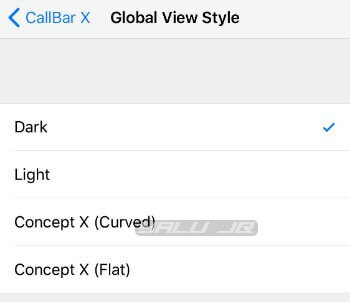 Global View Style (Concept X (Curved)) – Enables the global view style of the call bar interface. Global Appearance (bottom) – Selects the appearance of the call bar. You can set the bar to appear on the top or at the bottom. If you are shooting for a minimalistic and unobtrusive setup, select the bottom setting. 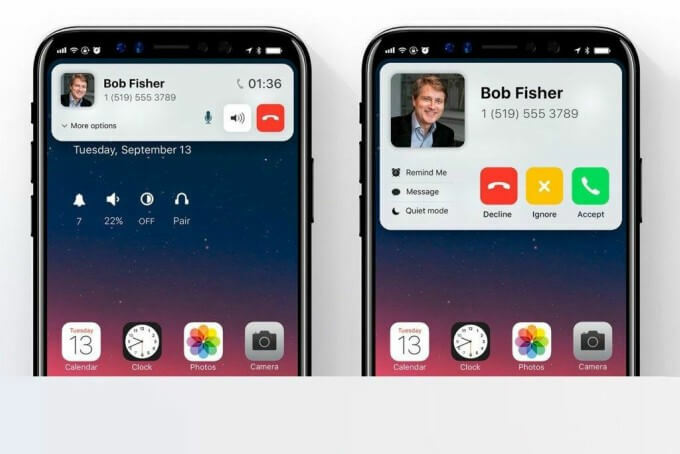 Use at LockScreen (on) – Enables the call bar on the lock screen along with home screen and apps. Enable this setting if you want to disable the stock iOS call view system-wide. LockScreen View Style (Same as Global) – Sets the CallBar X view style for the lock screen. Use the “Same as Global” if you want to have a consistent theme system-wide. 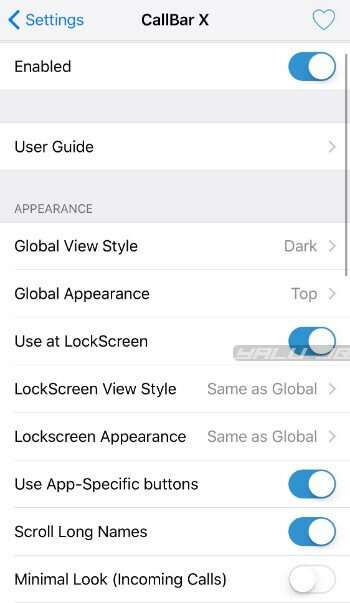 Lockscreen Appearance ((Same as Global) – Sets the appearance for the lock screen. Again, you should use the “Same as Global” if you want a consistent theme throughout. Use App-Specific buttons (on) – Enables app-specific buttons. Scroll Long Names (on) – Scrolls long names instead of displaying only a portion of the contact’s name. Minimal Look (incoming calls) (off) – Enables the minimal look. Disable this option as the default view style is comparatively better. Audio Controls Always Expanded (on) – Expands the audio controls at all times. Use for FaceTime video (on) – Enables the CallBar X interface for FaceTime calls. Allow Lock UI During Call (off) – Allows lock user interface during a call. Exit Phone app When Dialing (on) – Exit the Phone app while dialing. VoiceMail Button in Dialer (on) – Enables the voicemail button in the dialer. 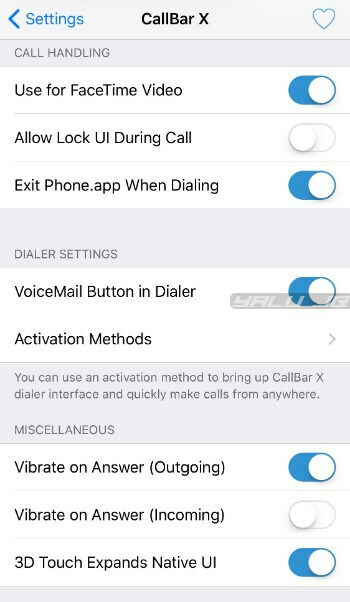 Activation Methods (on) – Sets the activation method that brings up the CallBar X dialer interface that quickly lets you make calls from anywhere. You can use any of the following gestures – swipe left on the status bar, swipe right on the status bar, and double tap on the status bar. Vibrate on Answer (Outgoing) (on) – Vibrates your device when a contact picks up an outgoing call. Vibrate on Answer (Incoming) (off) – Vibrates your device when you pick up an incoming call. 3D Touch Expands the Native UI (on) – Displays the native call view when you 3D Touch the call bar. You should enable this option if you want to go back to the stock call view during a call. Though CallBar is rather easy to use, first-time users may find the various options a bit daunting at the beginning. 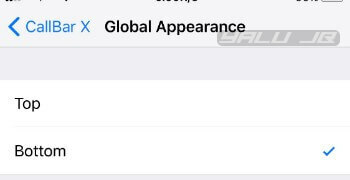 This section will walk you through the usage of this tweak. Swipe left to dismiss the call. If you are using the “Concept X” style, swipe down. 3D touch or long press the call bar to bring up the native call UI. Tap the “clock” icon to bring up the “Remind Me Later” menu. 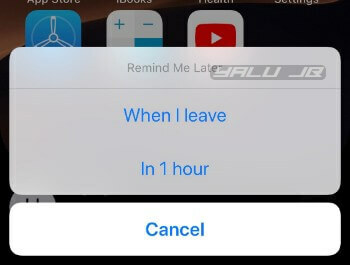 Select “in 1 hour” to remind yourself of the call after 60 minutes or “When I leave” to set up a followup reminder after you leave your current location. 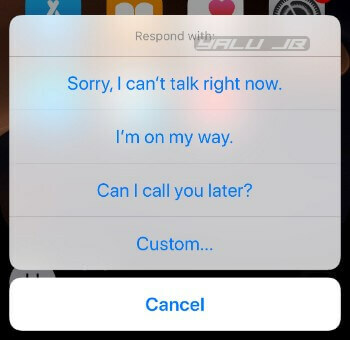 Tap the “message” icon to message the caller with the following canned messages – “Sorry, I can’t talk right now”, “I’m on my way”, “Can I call you later?”. You can also set up a custom message and then send it to your caller. Tap the “microphone” icon to disable the microphone. Tap the “dialpad” icon to display the dialpad in the middle of a call. Tap the “speaker” icon to put the call on speaker. Tap on the call bar to hide the various options. Elias doesn’t have a lot of tweaks under his belt, nor is he active in the jailbreak community. But if there’s someone who only releases top-shelf stuff, it’s him. CallBar X is yet another brilliant tweak from a brilliant developer. Highly recommended. CallBar X is available for download on Elias’ Cydia repo (limneos.net/repo) for $3.99. It is compatible with iOS 11.0-11.3.1/11.4 Beta 3.